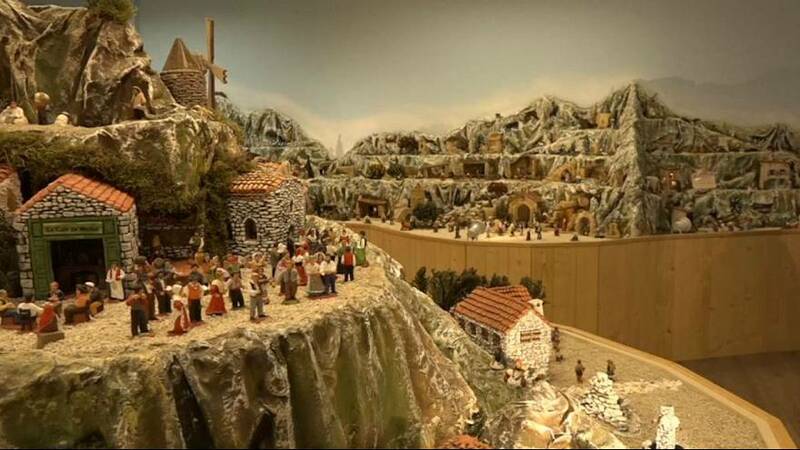 The city of Aubagne has set its sights on winning a Guinness World Record with its huge Christmas nativity or "crib". Also known as santons, the crib's miniature hand-painted terracotta figurines, traditionally made by an expert craftsman, depict scenes of daily life in southwestern villages. Aubagne's santon makers joined together to make the crib, which consists of an impressive 3,500 figures. "This is the only Christmas crib like this," explained Robert Maurin, President of the National Brotherhood of Santon Crafts. Aubagne's Deputy mayor Philippe Amy said the paperwork had been filed with the Guinness World Records organization and the southern town was now awaiting a visit from officials. November and December are busy periods for craftsmen like Philippe Rish (pictured), who has been running his santon shop for four years.